In 1995, Tammy Eaton was working as a police officer and paralegal in Manchester, N.H., when she decided to head west. "It was an existential decision," she said. "I had two degrees, three jobs and was going nowhere." She packed up her Honda Civic with everything that would fit and drove 2,700 miles right to Bellevue. She knew only one person in the valley. "It was the most exciting trip of my life," she said. Since then, Eaton has started a family and made a life for herself in the Wood River Valley, working at the Blaine County Sheriff's Office, as a freelance paralegal and serving for a decade on the Bellevue City Council. She will step down from the council in one month a changed person, having contributed to the town she calls home. "The biggest thing I learned is that it's hard work serving as a public steward, but that it's very rewarding," she said. "I learned not to take public service for granted at all. I have much more respect for any elected official for getting things done." Eaton worked with three different city councils during her tenure, helping to form plans for long-overdue infrastructure improvements and founding events that help to promote Bellevue in the larger community. In 2008, Eaton founded the Bellevue Haunted Forest event in the Howard Preserve and the Hot Summer Nights free movie series in Memorial Park. These events have raised money for parks maintenance and provided community entertainment. The Haunted Forest also raises money for a community Thanksgiving dinner that is open to everyone, whether or not they are in need. "Some people come who have means, but no family," Eaton said. Eaton owns two bead shops, one in Hailey and one in Twin Falls. She will remain in Bellevue, working for a nonprofit organization she brought to town called Building Balanced Communities. "It's an organization that builds small programs that create large impacts—social, economic and community impacts," Eaton said. 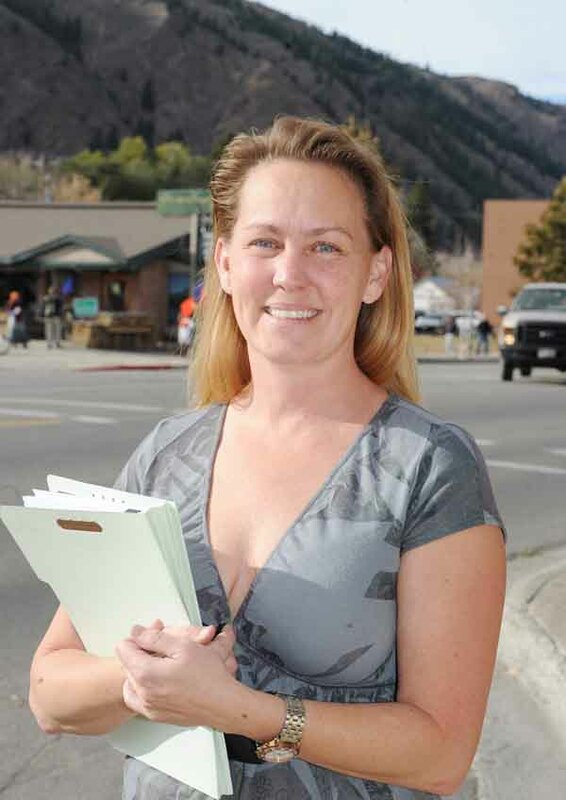 For 10 years, she's participated in writing planning documents, including growth management plans and ordinances for a town that grew during the real estate boom but is now struggling to make ends meet. "You don't control growth, but you help to guide it," she said. "It's been exciting. I've really enjoyed working with people like Jack Stoneback, the past city administrator. I depended on him and Tom Blanchard in particular to be my eyes and ears on what's going on. (Planning and Zoning administrator) Craig Eckles has been an amazing asset to the city. I can trust that he knows what he's talking about and knows what he's doing." Eaton said librarian Patty Gilman has been a "super member of the team," helping to promote Bellevue. One project with which Eaton was deeply involved was the planning and construction of a $7 million wastewater treatment facility that she said was necessary because the city was out of compliance with U.S. Environmental Protection Agency discharge standards. The new facility has caused sewer rates to rise precipitously, but Eaton said the rates rose more than expected because the city was expecting as much as $2 million in appropriations from the federal government to offset them. City Administrator Tom Blanchard said last year that the appropriation did not materialize due to changing attitudes about earmarks on Capitol Hill. When the federal stimulus funding was issued, the city did not qualify for that money, either. "The rise in rates was in the original plan, but they would have been lower with the appropriations," she said. "It's a phenomenal system. It produces 'Class A' water that can be applied to lawns and with one more design step it could be used to water food crops." When Eaton began working on the new facility, the city had a 4.5 percent projected growth rate. City officials are expecting a zero growth rate for the foreseeable future, due mainly to the recession. Though times are now tough, Eaton said she is proud of having helped to put together plans for the future. "We had to face reality, and look at the long term, instead of going from crisis to crisis," she said. "It was exciting to learn about providing basic services, and what problems we faced, like losing thousands of gallons a day in old water pipes. And what we could do about it. These are things that a person expects when they invest in their community and that's what they're doing when they buy a home in Bellevue. We still have to provide the same services regardless of the economy. A government is not a business." Eaton said the Utility and Street Department has unfortunately suffered in the downturn. "The streets have not been resurfaced in three years. This usually happens every year. At least you could say potholes are built-in speed bumps," she said with characteristic optimism. Like all council members, Eaton worked with engineers, formed advisory groups and held public meetings to address issues facing the city. Forming a consensus was not always easy. "I've enjoyed working with all of the people I have served with," she said. "(Former city servant) Larry Plott is the opposite of me. He's conservative. I'm more liberal. We had dissension, but together we would come to the best choices." Eaton said she and Plott were at odds over building "safe routes to schools" sidewalks three years ago. "He had concerns about where the sidewalks were going to go and how it would affect property owners. He was not going to support sidewalks at all." Eaton said the council created a "win-win situation" after forming a citizens advisory committee. "Instead of jamming sidewalks right up against property lines, we moved them out and meandered the pathway, rather than cut trees. We made them out of concrete instead of asphalt." "Back East, you're either on the bus or you're getting run over by it. It's different out here," she said. "When I first moved out here, I was a lot more high-strung. I just talked to hear myself. I learned to listen and not have to speak. That's huge for me. I feel like a different person. "Serving the community has been a blessing for me. I'm stepping down only to let others see how wonderful it is."